Blog » News & Events » Racing results from us & our customers » Drag Racing » What is the difference between launch control and antilag? 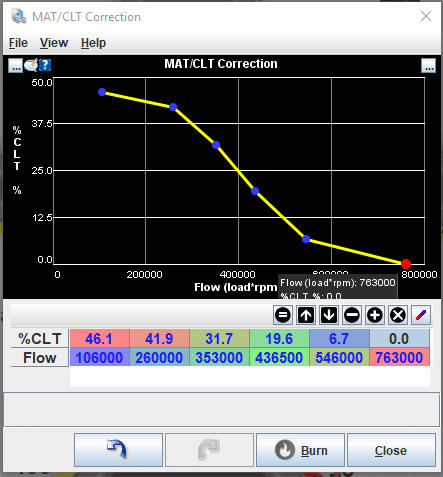 Launch control and antilag are easily confused – both incorporate features that can help spool up a turbo, but they are intended for different applications. 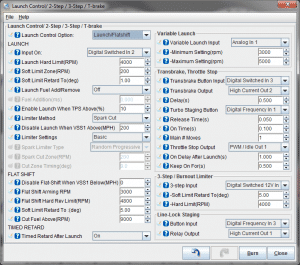 Launch control is intended to hold the engine at the right RPM, boost, and power output to get the fastest launch off a standing start without either bogging the engine or spinning the tires. Antilag is intended to maintain boost on short throttle lifts, for rally racing, autocross, or other races with very tight turns. MegaSquirt-2 based systems, including the MicroSquirt and MSPNP Gen 2, offer launch control. MegaSquirt-3 based systems, including the MS3Pro line, offer both launch control and antilag. Launch control’s main feature is a 2 step – an alternate rev limiter, which can be either a fuel or spark cut or both, that is switched off at the start of a drag pass. The spark cut can be used without fuel cut to help have your boost ready off the line. There are a couple additional launch boost builder features as well – for example, you can spray nitrous until you hit a particular boost target, at which point the nitrous turns off. 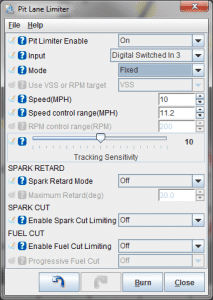 Launch control also ties in with power management features to allow you to temporarily reduce boost or timing off the line to avoid wheelspin. Flat shift is a related feature, and it’s fairly common to activate both with a switch on the clutch pedal. This triggers another rev limiter while shifting, allowing you to shift at wide open throttle and maintain boost. The ECU determines whether to use the flat shift rev limit or launch rev limit based on the RPM at the point the switch is engaged – if it’s above the flatshift arming RPM, you get the flat shift rev limiter. Below this, the ECU uses the launch rev limiter. If you’re in a racing event with rolling starts, it’s possible to achieve a similar effect with the car in motion using the MS3’s pit speed limiter function. Pressing a button enables a VSS based limiter that can apply a spark cut when you go over a set speed. Fixed mode will use a speed limit set in TunerStudio, while holding mode holds the speed at the point where you first press the button. Rally style antilag is a different feature altogether. It’s intended to keep the turbo spinning on downshifts when you close the throttle, instead of being intended to work at full throttle at the start of a drag pass. This can be done by letting more air through the engine but still reducing power, intentionally putting more heat into the exhaust, or both. The simplest antilag features have a throttle that doesn’t close fully, with the ECU instead cutting power with a “closed” throttle by using a rolling fuel or ignition cut. You can also use the fuel cut, without an ignition cut, at idle, to allow a reasonable idle speed and extra cooling. 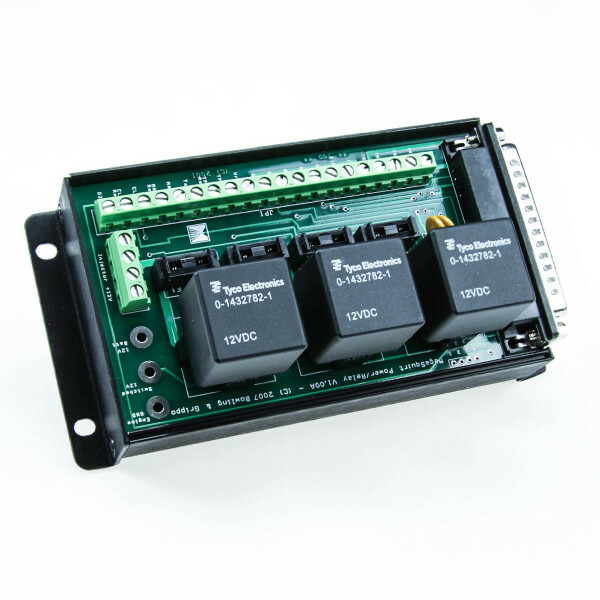 More advanced features in the MS3’s antilag settings allow extra IAC valve opening to allow more bypassed air into the engine, or activating solenoid or PWM outputs. You can use these outputs to add a larger throttle bypass than the IAC valve allows, route air from the intake into the exhaust without it going through the engine, or even use an extra injector to dump raw fuel into the exhaust. The last strategy can be very rough on turbos, or even blow up the exhaust manifold if done incorrectly.